Google co-founder and CEO Eric Schmidt has commented on how he would like to see the future of search connected "straight to your brain". However, before we start running away with some Gibson-esque dystopian nightmare fantasy, it should also be noted that Schmidt was joking. TechCrunch's Michael Arrington asked Schmidt directly: "What are the hard things to be solved in search in the next ten years?" What do you mean, Dave? Schmidt's lengthy answer focused on some pretty deep digressions into the philosophy of artificial intelligence and, more prosaically, on the issue of getting "from the sort of casual use of asking, querying… to "what did you mean?"." Before moving onto a humorous diversion on the subject of direct brain implants, noting that his partner and the other co-founder of Google, Sergey Brin, "argues that the correct thing to do is to just connect it straight to your brain." Schmidt continues: "In other words, you know, wire it into your head. And so we joke about this and said, we have not quite figured out what that problem looks like… But that would solve the problem. In other words, if we just - if you had the thought and we knew what you meant, we could run it and we could run it in parallel." However, Google is not currently working on such a product, as Schmidt notes, "We don't exactly have all the medical clinics necessary to test brain insertion." On a more sober, serious note, Schmidt says that Google's "long-term goal is to be able to give you one answer, which is exactly the right answer over time." 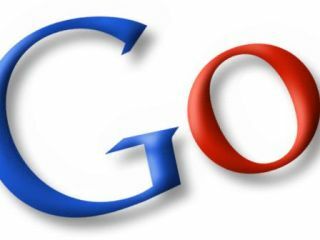 "The Google's answer was a site, which was somebody who had attempted to answer that question and had multiple answers. It's quite interesting actually to read… So you go to a very good definitive site. And what I'd like to do is to get to the point where we could read his site and then summarise what it says, and answer the question… Along with the citation and so forth and so on." Interesting stuff, we're sure you will agree. Although if search really was that 'perfect' and refined, how would we stumble across all the stuff and nonsense on the internet that makes the experience so constantly fascinating, surprising and fun?! Earlier this year, TechRadar asked the very question, "what if you could Google your own brain?"